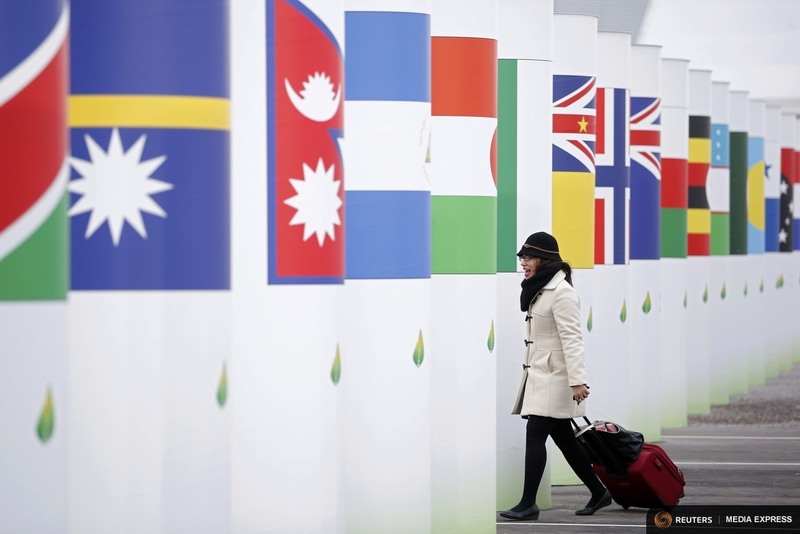 (Reuters) – Some 150 world leaders from U.S. President Barack Obama to Prime Minister Enele Sosene Sopoaga of Tuvalu gathered in Paris on Monday to open a summit meant to secure the world’s most ambitious pact on climate change. 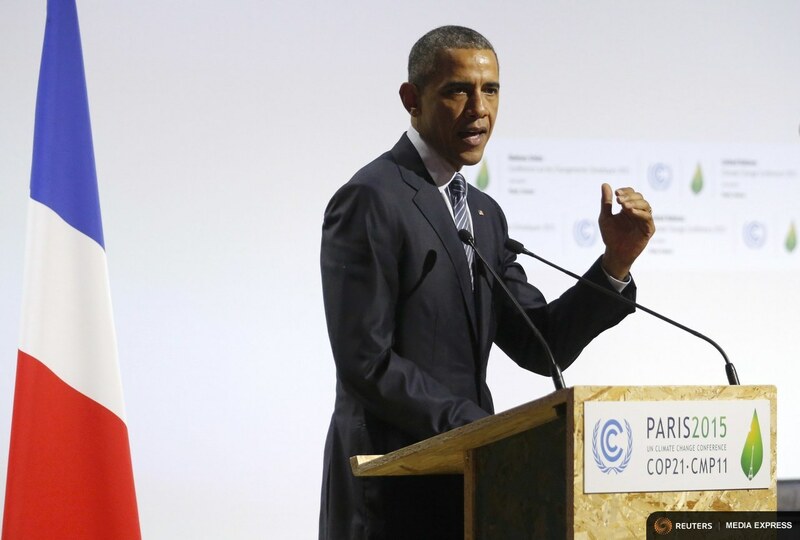 The full list of speakers is available here on the COP21 site. 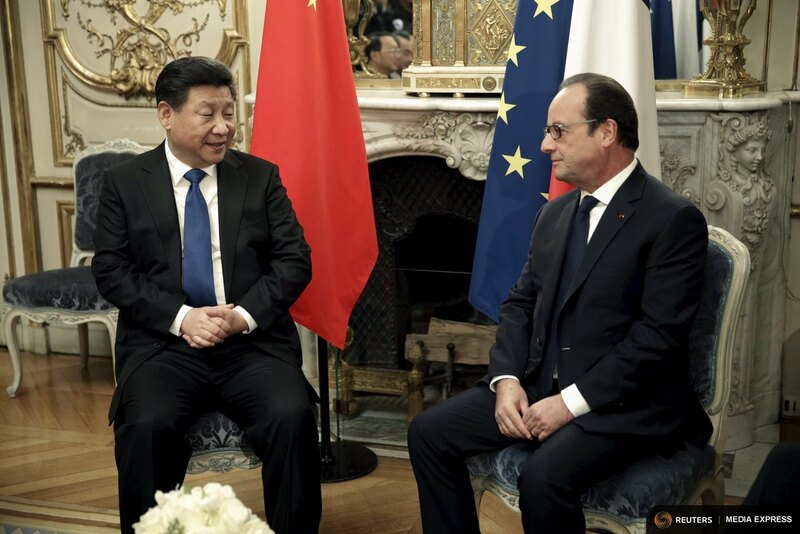 Xi said it was crucial the climate talks addressed economic differences between nations and allowed different countries to develop their own solutions to the problem of global warming. 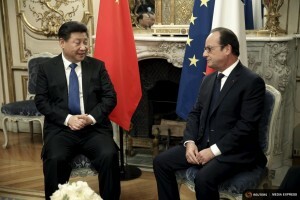 “It is important to respect the differences among countries, especially developing countries,” he said. 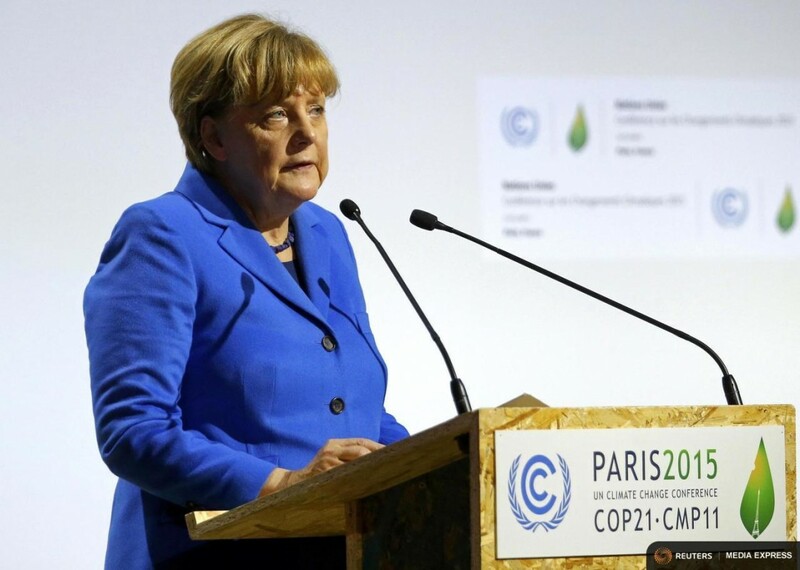 The aim of the summit was “a binding U.N. framework” and a binding review mechanism to close the gap between the impact on global warming of promised measures and the work required to limit rising temperatures, she said. What does the world think of Climate Change? What does the world think about climate change? The U.S. Pew Research Center asked, and found answers. 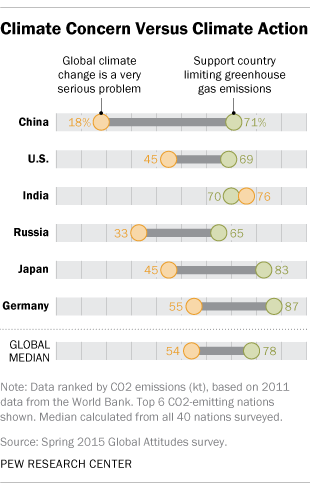 The level of concern about climate change varied greatly amongst nations. In China, responsible for the most overall emissions, just 18 per cent of people considered if “a very serious problem,” although 71 pe recent supported addressing it. “Globally, a median of 78% of people surveyed across 40 nations say they support their country signing an international agreement limiting greenhouse gas emissions,” reported Pew.